If you have a high school senior in the house, you are probably juggling college decisions, summer job searches, party planning, prom, a growing case of senior-itis and thousands of other things. We’re here to help you check one thing off your list: the graduation announcements. The good news is they’re fun and easy to do. If you have a senior portrait, or some other photos you’d like to include, you are halfway done! The other big part is deciding on your graduation announcement wording. 1. Are you planning a graduation party or open house? 2. Will the recipients be invited to the graduation ceremony? 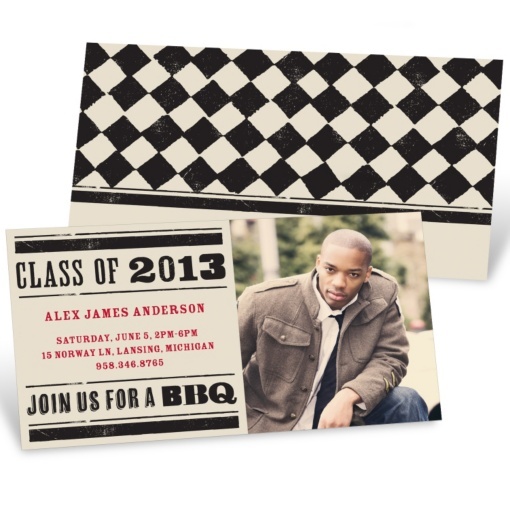 If you’re planning a party or open house, you will need graduation invitations, which can double as graduation announcements but include all the party details. If you are not having a party, you may want to start with graduation announcements instead, which simply announce that your son or daughter is graduating and from what school. 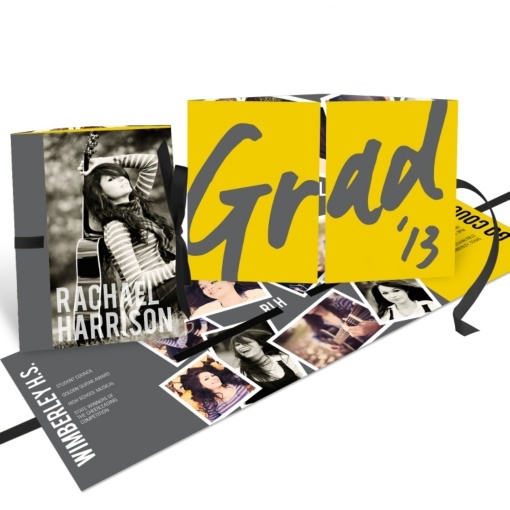 Most graduation announcements also have room for details if you’d like to invite recipients to the actual ceremony or to a party, but you can also leave this information out if you wish. If space at either event is limited, you may want to consider printing party or ceremony details on separate cards, to be inserted for invitees only. Jennifer will be attending Loyola University in Chicago this fall. If you need more inspiration for graduation announcement wording, start browsing through some of our graduation announcements. You can use the wording on our samples, or feel free to get creative and write your own. Remember, it’s all about the grad. Whether through words or pictures, be sure to let his or her personality shine! There are plenty more graduation invitation ideas where these came from! Look for more posts on this topic on our blog. Pingback: 5 baby announcement ideas to let your friends know the good news!